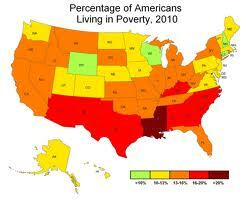 I have lived on a very low income for most of my life, since leaving my family on Long Island in 1967. Through the late 60’s and into the next decade, I benefitted from free, quality health and dental care. Which of course I took for granted as a sort of birthright for every American. Then came the 80’s and Reaganomics. Until now, 2015, the social fabric that once had honored the poor, has been mostly eradicated. The final kibosh being Obamacare, which has betrayed the poorest among us. For while I remain a blue-state resident here in California, and am regarded (at least on paper) as a fully-covered recipient of health care via Medicare and Medi-Cal, I am actually stripped of any and all medical services, due to Medi-Cal’s atrociously high share of cost. Which is, for example, $500 per month on a Social Security monthly income of $1,100. This means, of course, many of us receiving Medi-Cal can not even afford to see a doctor for preventative care, let alone emergency and maintenance. Medi-Cal is California’s version of Medicaid. I do not think that Medicaid in other states is much better…and probably much worse. President Obama’s mistake was to leave management (and even acceptance or rejection) of Medicaid up to each state. But is this truly an error, or intentional persecution of the poor in a grand plan to kill off all so-called “nonproductive” citizens? I am not a Republican, nor ever will be. Yet this betrayal reflected in the Affordable Care Act, leaves a cold chill up my spine. At 65 years of age, I doubt that I will survive much longer than three years, without any sort of health care. But if I do, I will likely be blind and homeless by then. Yet not even the alternative media cares to cover this urgent topic…and obviously our government and mainstream press have swept it under the carpet. How can one be truly proud to be an American under such diabolical circumstances? While the Democratic Party pats itself on the back over what a (so-called) miraculous success are Medicare and Medicaid, millions shall soon perish, including myself, that Barack Obama gain glory. I walk the streets of San Francisco, passing by businesses that offer therapeutic massage, quality health clinics, dental services, sports medicine, psychological therapy, acupuncture, quality herbal extracts, organic health food, and vitamin supplements. You’d think we live in a cornucopia of maximum health for all residents, yet all of these services are well beyond my economic reach. And that’s just the half of it. Being low income also means no real friendships or social circles, that make life enjoyable rather than merely survivable. Most of my friends, as a consequence, are poorer than myself, usually homeless. They are good people–very good people–and accept their lot in life with far more grace than I do my own. I do not want them to be without me; I do not want to die before my time. Yet that is the likely outcome. Advertisements on television, radio, billboards and the Internet reach out to the financially comfortable, as if we all were blessed with expendable income. We–the poor, the disenfranchised, the homeless–are made invisible while all around us are the socially privileged going about their daily routine wrapped in a blanket of affluence. For we outcasts live in another world: a world of misery, illness, hardship, tragedy and loneliness. Why can’t I taste the fruits of organic industry, or enjoy the comfort of a nice apartment with friends and family, celebrating our good lives? Why can’t I have beloved comrades who’ll always be here for me, rather than their passing through and struggling to survive that excludes forming long-term bonds? Why must those I love perish or disappear before I even have a chance to know them very well? So this is my Declaration of Dignity, for which I will stand by unto my final breath. I have nothing to lose at this point, thus am ready to lay my life on the line for what I know is just…even unto war and revolution. I number among the Davids of society’s Goliath. See also my “New Declaration of Independence,” released in 1997. Enjoy my recent comment to an author’s blog, subject “It Takes a Team“. Presently awaiting moderator approval, so no promise it will find a home there. I am a very low income soul living on a disability stipend (in a /very/ expensive city), who had /no/ choice but to forgo an agent, proofreader, editor, et al. I have studied many blogs re. self publishing…and they all are geared for those who are at /least/ reasonably affluent. They have money to toss around, thus /their/ challenge is not lack of funds to employ an agent, but to find a really /great/ ally among all the mediocre ones. Not a single article advising those who are penniless authors attempting to break into the market. Though thanks to a small inheritance from my deceased parents, I was able to employ a self publishing service (Friesen Press) minus the added proofreading and editorial options. I can’t even afford a fast Internet connection (just dialup at $10/mo. ), so I rely on public wifi at libraries. This is not ideal, as I prefer promoting my book (Twitter, FB, blogs, etc.) from the comfort of my own SRO…rather than in a distracting environment that includes stinky hobos and speed freaks mingling about the book shelves, and occupying tables. Sometimes it’s just too much–I get stared at and even stalked by these types–so I shut down my netbook and leave. There, you will also find a link to my book, where you can read the entire first chapter for free, purchase it, or contact me. Or course it is always wise to hire a righteous agent. But if you are too broke for that, and are driven to get your opus out there (“I have something really /important/ to tell the world”), know that we now have a totally cost-free way to accomplish this. I am so poor that I have not been able to afford dental care ever since MediCal eliminated such for all male adults over a decade ago. As of two years ago the same is true for /all/ MediCal recipients (men, women /and/ children). (I wonder: how on earth are the low-income unemployed expected to land a job with decayed and missing teeth?) Plus: I suffer a severe inferiority complex that resulted from a horrid face infection which commenced at the tender age of 16. Took years to heal. To this day I shun mirrors due to this inherited neurosis. Therefore, I am pathetically camera shy. No way will I include an author photo showing my rotten teeth. This of course is a strike against me in my attempts to promote “Free Me From This Bond.” Suffice a 12-year-old pic wherein I look pretty good…but it’s not how I appear at present. I am, after all, a ripe and ragged 63 years of age. Thanks to San Francisco’s rent control (albeit grossly anemic due to the state’s “Ellis Act” and many other loopholes on a local level, such as no rent control for domiciles built after 1979)…I remain in occupancy of a crummy single room. Bathroom down the hallway, no kitchen. Been living there since (now hold onto your jockstrap) January first 1983! There is also the matter of further MediCal cutbacks which include elimination of psychiatric care, hearing and eye exams. In addition, our “liberal” governor, Jerry Brown, has decided to redeem California’s sagging economy by restoring it on the backs of the poor! This includes eliminating (on a monthly basis) $100 from Social Security, that all recipients pay for their own Medicare subsidy. Finally, at the beginning of this year, said recipients must /also/ pay $30 per month for their Medicare part D.
Also to be considered are the social consequences of being both left-wing and low income. Due to the rise of crass elitism among the LGBT population these past three decades, I remain sort of the “last of the Mohicans” among our gay crowd. What friends I once had were lower middle class or dirt poor…and have been thrust out of the protective circle of gay friendliness and forced to move back to their homes of birth or other less-costly locales. That /also/ harbor mostly redneck or at least stick-ignorant denizens that do /not/ make for a safe or hospitable environment. While I remain in The City, hanging by the edge of my nails. So there you have it, Mellifluous Reader: a perfect storm that threatens to condemn me to continued friendless existence unto death, failing health, and even homelessness. Though I like to think that all these years of living down and out in Gay Mecca is destiny’s intent to inspire me to maintain compassion for our downtrodden and wake up the world to such misery…particularly for those who suffer such an egregious fate within our queer community. And that, my friend, is a positive spin indeed. Just let us hope it’s not /also/ a positive spin to the grave. I pray my novel takes off. UPDATE: Egads, they excommunicated my brilliant comment. Surprise surprise! Guess their blogger considers this contribution by yers truly an imminent threat to her business as agent. You’d think she’d see a good story in it, and capitalize on the potential therein. Oh well, I can’t expect everyone to grasp my avatar-ish destiny. No one can clip my wings at this point…not even the hag Atropos. So click on the book cover below already, and be transported into a World of Awesome Queerness. You know you wanna! Always free to read online. Warning: you'll be hooked! Ezekiel J. Krahlin a.k.a. "Jehovah's Queer Witness": available for private and group readings here in the SF Bay Area. Not limited to just the entries herein. Click here, here and also here to view many other tales, poems, essays and rants by yours truly. All fees negotiable. Advance payment required. Paypal only. Click here to contact me, negotiate payment, or send money. Donations also accepted in any amount, to support my activist projects. My Thinkpad Has A Brain Slug!